Laid down, 1 September 1942 at Dravo Corp., Wilmington, DE. 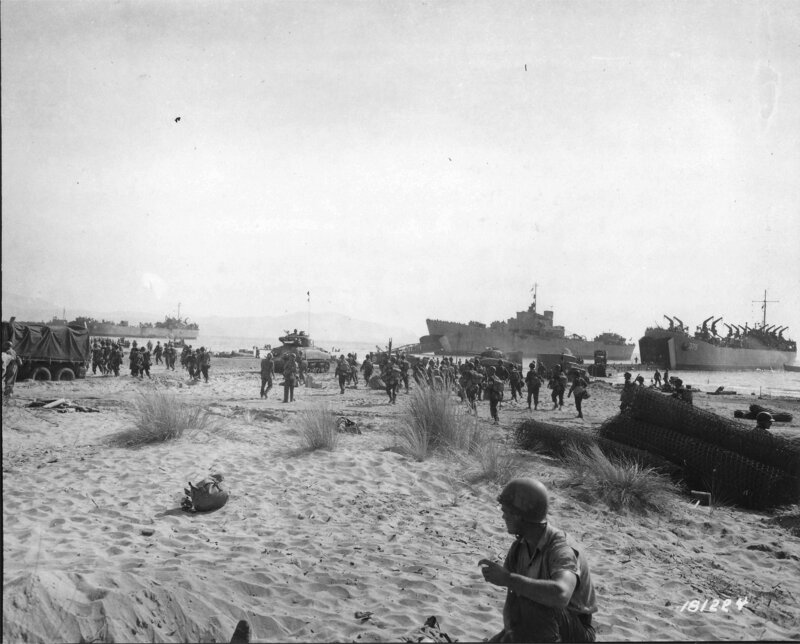 1541k USS LST-379, at left, an unidentified British Landing Ship, center, and USS LST-16 in the far distance land tanks and reinforcements at Salerno, 9 July 1943. 57k USS LST-16 under way in the Mediterranean area. 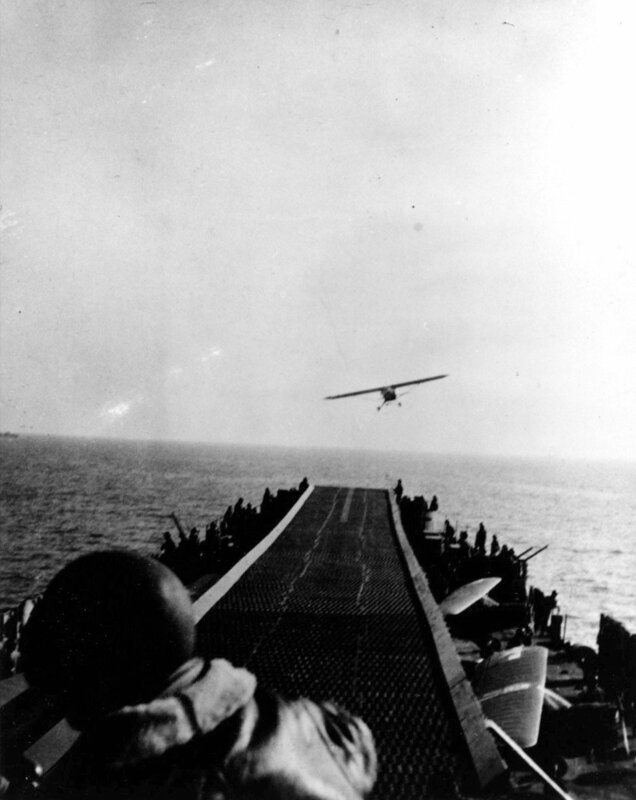 Note the USAAF L-4 Grasshopper on the 220ft x 16ft flight deck ready for take-off. 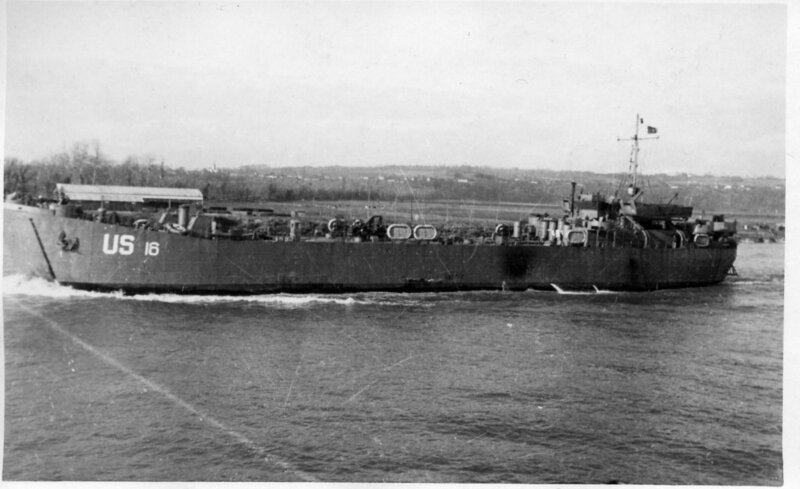 136k USS LST-16 equipped with a portable landing strip, serves as a mini-aircraft carrier to launch USAAF L-4 Grasshopper aircraft with spotters for the offshore naval gunfire during European invasions in 1944.